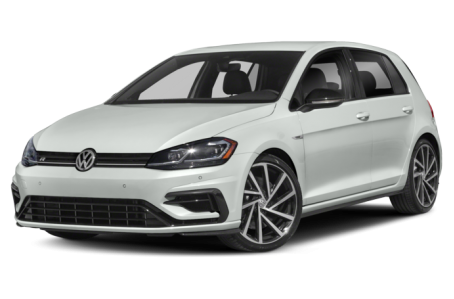 The 2018 Volkswagen Golf R is the high-performance version of the regular Golf hatchback. It competes with the Ford Focus RS, Subaru WRX STi, and Honda Civic Type-R. Under the hood, it is powered by a 292-hp, turbocharged 2.0-liter four-cylinder engine mated to a six-speed manual transmission and all-wheel drive (AWD). A seven-speed dual-clutch automatic is also available. Maximum cargo capacity is 52.7 cubic feet of cargo room with the rear seat folded down.